Astronomia Prática: Photometry of the moon during the penumbral eclipse of October 2013. 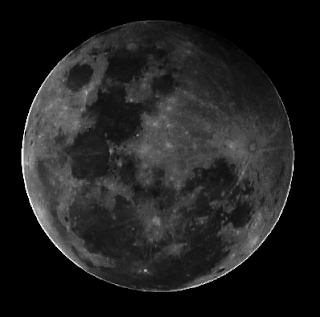 Photometry of the moon during the penumbral eclipse of October 2013. Fig. 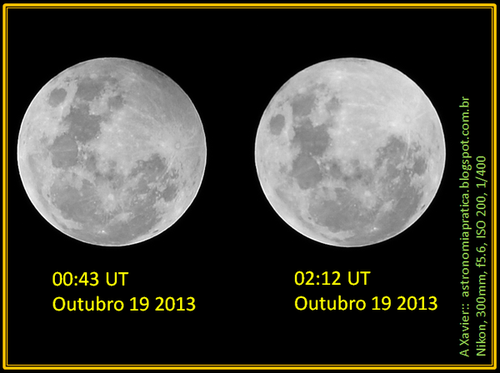 1 Moon at two different moments: during the penumbral eclipse (October 18 2013) and just after the eclipse end. Some amateur astronomers complained about the popular interest during the last penumbral eclipse of the moon (Oct 18/13). With reason, they claimed that this eclipse would not be worth observing. The effect of moon darkening was very weak and the phenomenon would pass unnoticed had we not be previously informed by several internet sources. However, astronomy is an empirical science and it is usually made of occurrences with insignificant effects. Here we present a small report of a possible analysis of the light profile of the moon during this eclipse. Although some darkening is apparent in Fig. 1, we would like to make the difference "explicit" by image and quantitative analysis . Perhaps our approach could be used during other eclipses, or a systematic application of it could help the study, for instance, of more subtle variations of brightness during a total lunar eclipse. For the amateur astronomer with interest in scientific analysis (and not only in simply taking sky shots), this report may be useful because it shows the amount of information that is available in the image matrix taken by simple instruments and how this information could be used to numerically estimate brightness changes during eclipses. 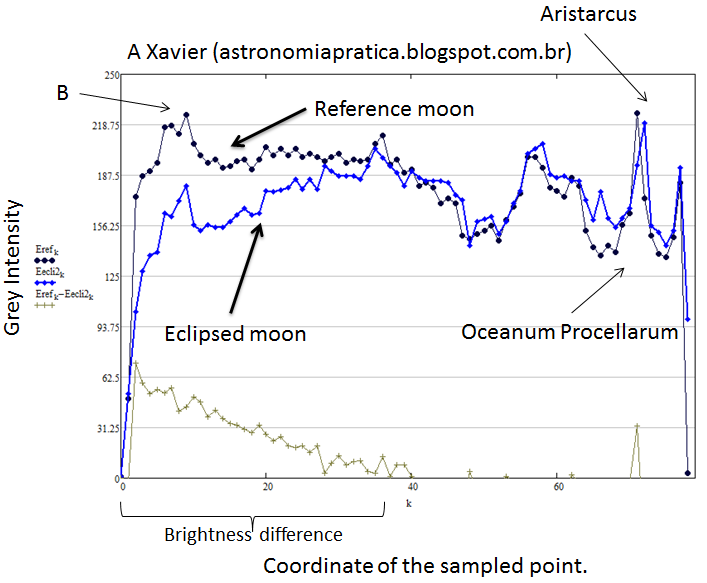 Analysis of the moon profile during the penumbral eclipse. Both images in Fig. 1 were taken by the same equipment (Fig. 2) and configuration. A Nikon D40 camera was used with a 300 mm, F5.6 lens. The sensor sensitivity (in manual mode) was adjusted to ISO 200 and the exposure time was set to 1/400 seconds. It is very important to emphasize that the images were taken with no cloud present. Our analysis is not valid if the moon is captured through clouds for quite comprehensible reasons. Fig. 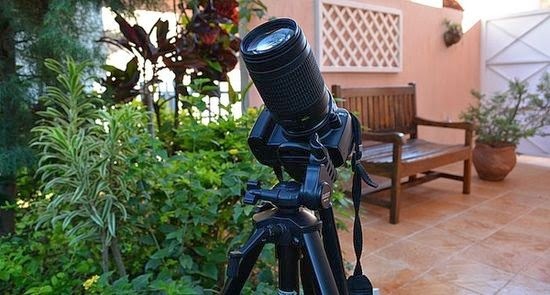 2 Equipment used during the eclipse of Fig. 1. The first thing we notice in Fig. 1 is that the images are not properly aligned. 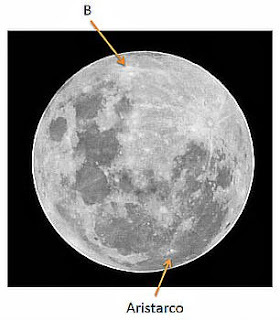 Once the camera was installed on a tripod (an altazimuth mounting), the moon movement in the sky caused an apparent image tilt (in relation, for example, to a vertical line passing through the center of each image frame). In order to properly analyze the image, it is necessary to aligned it as is usual in astrometric work. Instead of rotating the image, we extract a sample of it along a line or "cut" of both images and compare them. We chose two well distinguished and point-like features in the image as shown in Fig. 3. The first point is crater Aristarcus as shown. The second spot is denoted point "B" (Reichenbach, Stevinus, ref. 1). Fig. 3 By carefully choosing two bright features and tracing a line joining them, we can extract an image sample for photometric estimation. Point 'B' may correspond to craters Reichenbach and Stevinus (ref. 1). Both points were chosen so that the brightness variation along the cut represented maximal light change due to the Earth penumbra. The point close to point (Reichenbach, Stevinus, ref. 1) was immersed in the darkest area, while the first point (Aristarcus) showed no apparent brightness variation. Fig. 4 Traced lines corresponding to image sections containing data to be analyzed. 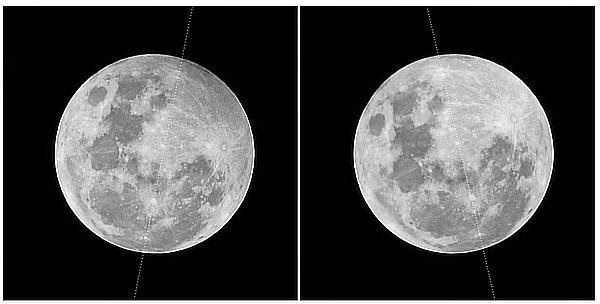 The moon at left is eclipsed, while the image at right is the "reference" moon. It is important to note that both lines will not exactly coincide with the same lunar areas (as we have said, each image is sampled on different CCD regions). However, the samples so obtained will correspond, within the expected error, to the same data intervals in each situation (reference and eclipsed moons). To check if the extraction is ok, we can calculate the distance between the two chosen points on each image. For the reference moon, this distance is equal to 275,1 pixels and for the eclipsed moon 276,3 pixels. Fig. 5 Photometric responses of the reference (black line) and eclipsed (blue line) moons. The lower curve is the difference between the black and the blue lines and represents the degree of darkening caused by subtle illumation changes. Results can be seen in Fig. 5 and correspond to a sample of 80 points of the 500 X 500 original matrix. The 'x' axis reads an index that quantifies a position along the chosen line according to Fig. 4. The 'y' axis is the image intensity or brightness measured in grey scale (0 for black and 255 for white). As we go from zero to the curve end, we move from south to north, passing through distinct features on the lunar surface as identified in the figure. The "reference" moon is represented by the black line. The eclipsed moon is the blue line. Brightness difference is calculated and shown in the lower curve and reaches about 60 shades of grey. Due to an effect called "aliasing", original data samples have different sizes (number of elements). This happens because, again, the images are rotated. For more accurate estimation, an equatorial mount should be used. A kind of "anti-aliasing" algorithm was therefore applied to generate Fig. 5, so that some points do not coincide exactly to the same coordinate in both images. However, it is clear that we have registered the shade difference between distinct lunar regions, amounting to more than 25% of white (~250). Is it possible to explain the difference curve in Fig. 5? The darkening is obviously due to the fact that on the moon surface, the Earth is causing a "partial" sun's eclipse. The difference in intensity on the surface is proportional to the degree of occultation of the sun caused by the Earth. For example, the occultation was more intense on the limb close to crater Stevinus during this eclipse (left side of Fig. 5 plot) and a gradual sun's "unlocking" can be observed toward "Oceanum Procellarum". During total lunar eclipses, the situation is a little bit more complex because of Earth's atmosphere influence. To make theory and practice agree, we should use a calibrated image and configuration, that was not our initial scope. Again, we emphasize that our analysis is only valid for the moon observed at distinct times and with no impeding clouds. Clouds would totally the mess intensity values, making the comparison impossible. Fig. 6 Application of a non-linear transformation to the eclipsed moon image enhances contrast and reveals the darkening in an artificial way. It is easy to modify Fig. 1 revealing something like Fig. 6 above. This is an image with a much enhanced contrast, making darkening effects apparent. However, those who witnessed the original event know that this image has nothing to do with the real moon at the moment. Amateur astronomy may be full of beautiful but deceiving images.